As a landlord, you are likely familiar with the general structure of a security deposit arrangement. You, the landlord, require a tenant to provide a certain amount of money that you hold as security against any damages they may cause while living in your rental unit. You hold onto the security deposit until the end of the lease term and then, if there are any damages, you withdraw from that amount to cover the costs of repairs. Any amount remaining from the original security deposit amount is returned to the tenant. Seems pretty straightforward, right? Security deposit law in the City of Chicago is relatively straightforward; however, it is a bit more involved than the basic outline above. For example, there are very specific requirements around how and where that security deposit is held during the lease term, and there are penalties for failure to do so. In this article, let’s take a closer look at landlords’ requirements for holding security deposits. What Should I Do with the Deposit During the Lease Term? How Much Interest Should be Paid on a Security Deposit Held Longer than Six Months? As noted above, if the landlord holds a security deposit longer than six months, he or she will need to pay interest to the tenant on an annual basis. This interest accrues at a rate set by the City of Chicago Comptroller each year. In 2019, the Comptroller set the yearly amount at 0.01% interest (it has remained at this rate since 2015). Although this rate is relatively minimal (on a $1,000 security deposit, only $0.10 interest will accrue), there are serious penalties for failing to pay tenants the amounts due to them. Security deposit interest should be paid out annually and is due within 30 days after the end of each 12 month rental period. Interest can be paid to the tenant in cash or as a credit to rent due. What Happens if I Don’t Pay Interest on Security Deposits? As we mentioned, even though the amounts due to tenants for interest on their security deposits are relatively small, failure to pay them can result in severe penalties. In court, landlords can end up responsible for 1) return of the security deposit in full, 2) damages (up to two times the deposit plus interest), 3) attorney’s fees, and 4) court costs. Pretty steep, huh? It’s worth keeping track of how much interest you owe to tenants and implementing a system to remind you to pay out the appropriate amounts on time. To be absolutely sure that you don’t miss paying interest on security deposits, or any of the other obligations that are a part of being a landlord in Chicago, work with an experienced real estate legal professional. 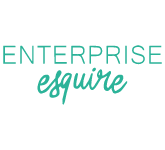 At Enterprise Esquire, we are committed to supporting our clients in their business endeavors and protecting them from unnecessary or avoidable penalties. Schedule your FREE 15 min. consultation to discuss how working with a real estate attorney can help you comply with CRLTO.